The California giant’s Mac is best known for its productivity and if you are a Mac user, you are very well aware of that. The keyboard shortcuts, the workarounds, the productivity Apps makes life just more easier to live and get our work done. Today morning, I was in a quest of Googling how to join two images easily without loosing its quality for one of my articles and without any App because for a small tweak, I cannot afford to loose any hard drive space or memory. I found many Apps, both paid and free for doing such small things but I realized there is another much simple way of getting the work done without any App and using some Mac functionalities and a little brain. Check out this little workaround for joining two images in 45 seconds flat. Step 1: Drag both the images you want to join on the desktop at a side so that you can drag them. Step 2: Open the Text Edit in-built in Mac OS from the search bar. 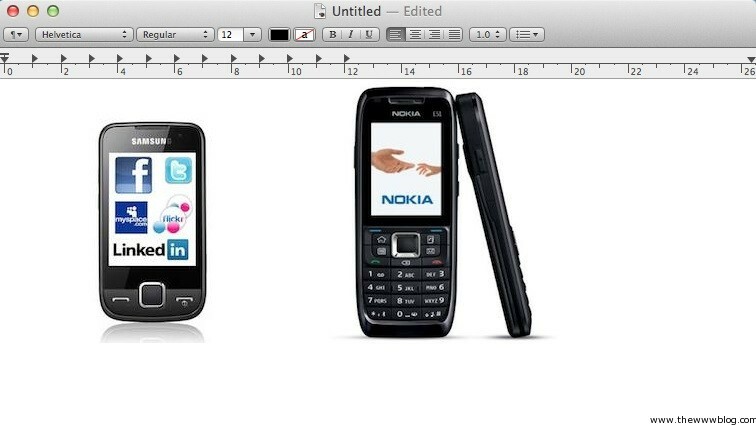 Step 3: Now, first drag the image you want on the left first into the Text Edit file. Step 4: Similarly, drag the second image into the Text Edit. This way, both the images will be placed side by side just as you would have wanted. After you have done the above part, there follows two different ways to get the finished image file. Also note that any image file having different type or extension can be used to make a single image. As I told you already that the images in the Text Edit already look like the file you exactly wanted. So keeping that in mind, you can directly take a screenshot of the Text Edit using the keyboard shortcut ‘Command + Shift + 4’. With this shortcut you can crop the portion of image from Text edit and you are way to go. This is the simplest way to get the work done. Although I am sure you would want to go for the first method, the alternative method is, save the text edit file as PDF by going to File > Export to PDF. Give the name to file and Save. 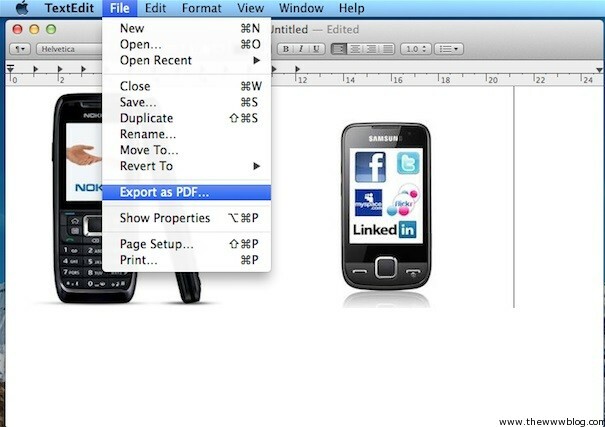 Open the PDF file you just made and export again by going to File > Export. Now choose a name and select format type in the option given in there. This way you will get just the image you have wanted. By using the second method, the resulted image can be big in size. 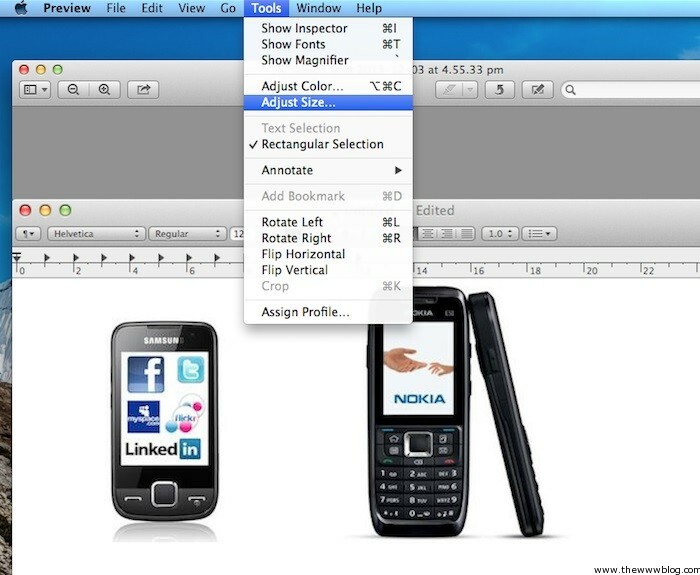 In order to get the correct image size for your need, open the image with the help of Preview (Default). After opening, click on Tools and select ‘Adjust Size’. You can give your custom size to the image. Hope this little work-around will make your work much more easier and let us know any other trick of joining two or more images you have found out. If you wanted to do more from your Mac, check out these guides – Mac OS X Guides.